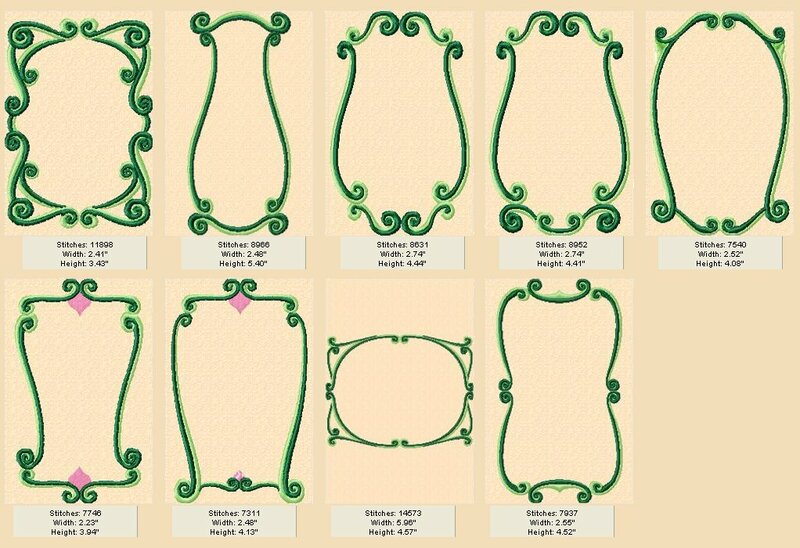 Scroll work frame accent your favorite designs. 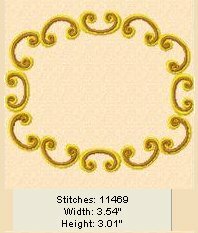 Great for quilt labels, baby announcements, wedding items etc. Most designs require a 5x7 frame minimum.